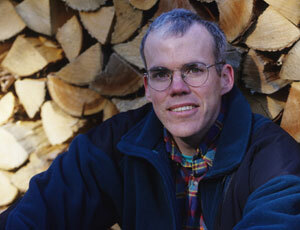 March 1, 2009 by Ken Ward Jr.
One of the major backers of the big anti-coal protest Monday in Washington, D.C., is author Bill McKibben. Washington has seen its share of big protests over the years, and most of them center on the White House, the Mall or the Capitol. That will change tomorrow, when the first big protest of the Obama era — and the first mass civil disobedience against global warming in this country — will take place against the not-very-scenic backdrop of the Capitol Hill Power Plant, a dirty symbol of the dirtiest business on Earth, the combustion of coal. In that one plant — owned and operated by our senators and representatives — you can see all the filth that comes with coal. There are the particulates it spews into the air and hence the lungs of those Washington residents who enjoy breathing. There are the profits it hands to the coal industry, which is literally willing to level mountains across West Virginia and Kentucky to increase its fat margins. And most of all there is the invisible carbon dioxide it spews each day into the atmosphere, drying our forests, melting our glaciers and acidifying our oceans. The steam and chilled-water power plant has become more efficient. It now burns more natural gas and only 35 percent coal, compared with 49 percent in 2007. But Congress is running out of options to make the plant fully green. Also, there are questions about whether it can afford to keep paying to use the extra natural gas, which burns cleaner than coal. The plant’s story is one that is likely to play out across the United States as Congress looks to limit greenhouse gases and require more of the country’s energy to come from wind, solar and other renewable sources. The issues hampering the cleanup â€” politics, cost and technological barriers â€” could trip up similar efforts elsewhere. The U.S. counts on coal-fired power plants for about half of its electricity; the plants are also the biggest source of heat-trapping gases. So if Congress cannot act locally, as the environmental slogan goes, how can it begin to think globally? It doesn’t make any difference what they do. It makes a statement, but it is not going to change carbon dioxide concentrations at all anywhere in the world and coal will continue to be used somewhere else. And get ready for the “What global warming?” jokes — forecasters are calling for temperatures in the 20s and light snow tomorrow in Washington. There’s a winter storm warming in effect through tomorrow at 2 p.m.
For some context on why cold winter weather doesn’t mean there’s nothing to fear from climate change, see this post from Joseph Romm over at Climate Progress. How about over a decade of no warming, like we’ve had? Is that weather or climate? Will 20 years of no warming be enough to convince you that there’s not much threat? How about a century of cooling and glaciers advancing on Chicago? Warming alarmism isn’t subject to falsification under any circumstances, period therefore it resembles a cult. I appreciate your interest in my blog, and thanks for taking the time to post your comment. I’d appreciate you following up by posting a link or 2 showing what the sources for your information are. Frankly, it sounds like the same old, same old climate change denier stuff that most of the scientific world has moved on from…but I’m willing to listen to what you have to say if you think you have some scientific basis for it. But, you apparently didn’t bother to read the link I included at the end of my post. As NASAâ€™s Goddard Institute for Space Studies explains, â€œThe eight warmest years in the GISS record have all occurred since 1998, and the 14 warmest years in the record have all occurred since 1990.â€ What about 2007? NASA explains â€œ2007 tied with 1998 for Earthâ€™s second warmest year in a centuryâ€ (NOAA puts the 2007 ranking slightly lower, at a close fifth). The climate story of the decade is that the 2000s are on track to be nearly 0.2Â°C warmer than the 1990s. And that temperature jump is especially worrisome since the 1990s were only 0.14Â°C warmer than the 1980s (see datasets here). Global warming is accelerating, as predicted. And let’s be clear on something folks — Coal Tattoo isn’t going to be turned into a forum for folks who deny science. There’s plenty of debate about many details of climate change. But the basic science is settled. And if you want to debate the science here, please cite your sources.